Hard to believe, but I’m in New York again. It’s my 5th time in 5 years, and seeing as my first time was 5 years ago, it’s easy to say that I caught the NYC bug and haven’t been able to shake it. This trip, we decided to veer away from the “usual” in Columbus Circle and booked at the Mondrian Soho hotel. Even though I was excited about exploring a new neighbourhood, I missed the walks through Central Park in the morning. 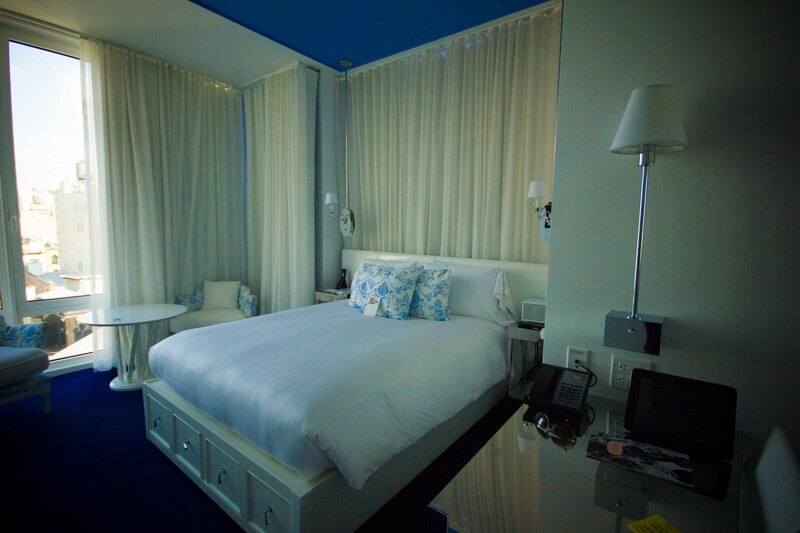 Like usual, we caught the red-eye flight into JFK and were dropped off at the Mondrian at 8:00am. Lucky for us, the hotel had rooms available for us and we were able to check in right away. With thoughts of trying to catch a few more hours of sleep in mind, we chose the quick, easy and nearby Pain de Quotidien for a bite. 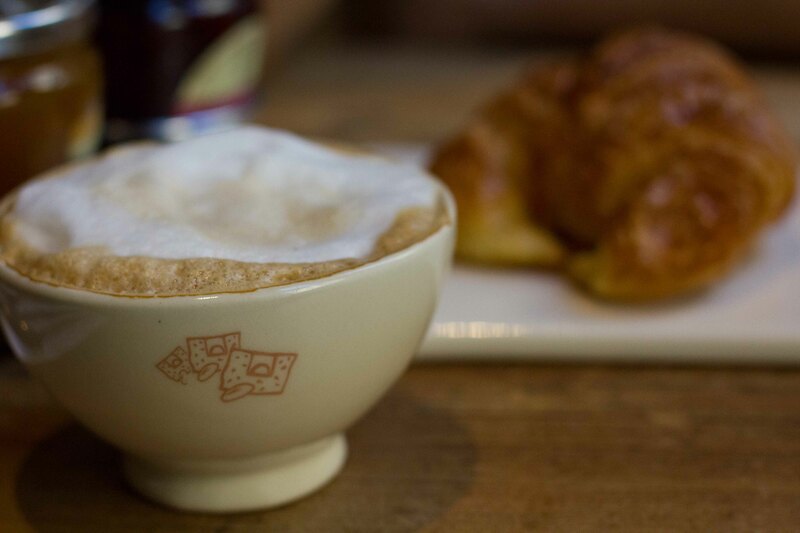 Cup of Cappuccino with a croissant and a soft-boiled egg was the perfect post-red-eye meal. 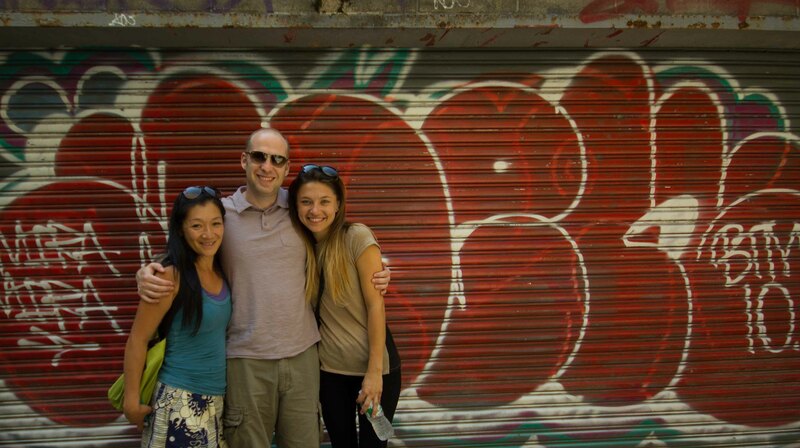 After a nice nap, we were ready to wander around Soho. On previous trips to NYC, my time in the area has always been limited, so I was happy for it to be my new home base. We found out that Ben’s cousin Alex would be in NYC while we were there are were excited to be able to schedule a lunch. We went back and forth over quite a few choices to end up going to Freeman’s, which was a recommendation from a friend of mine. 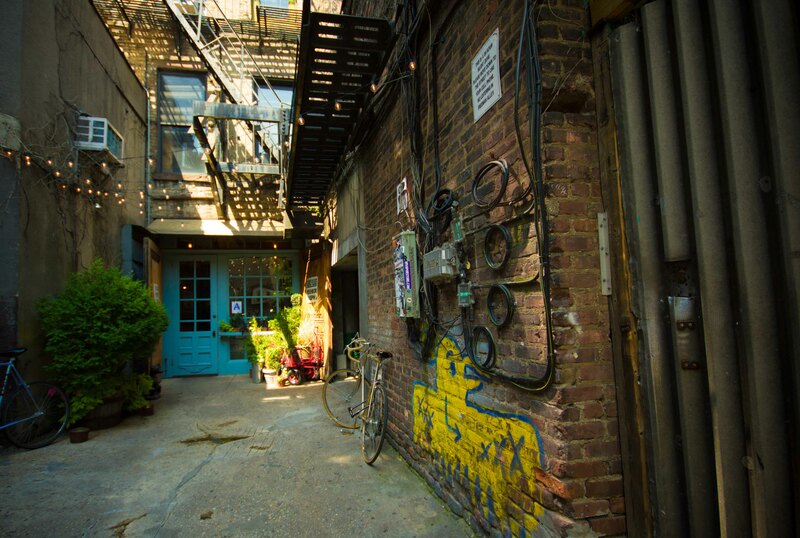 Freemans is located down a nondescript alley. 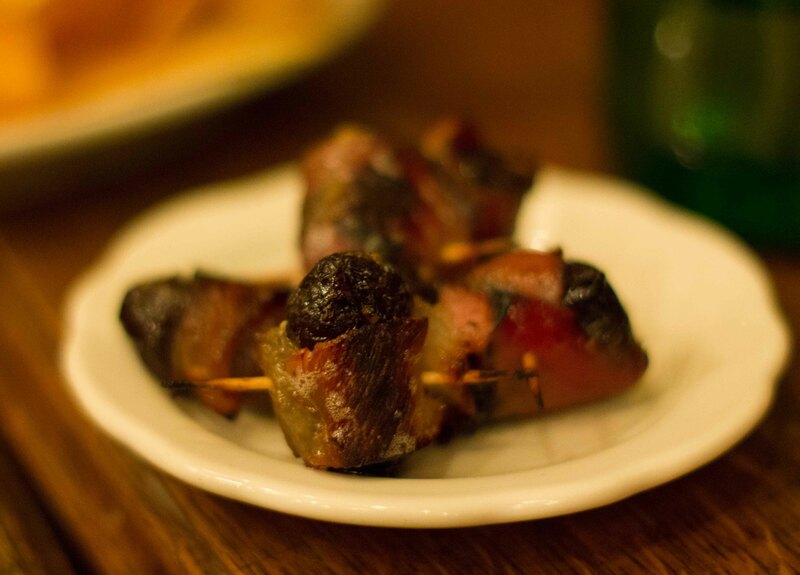 Devils on Horseback – Bacon wrapped dates stuffed with blue cheese were deliciously rich, although it was hard to have more than 1 on this hot summer’s day. 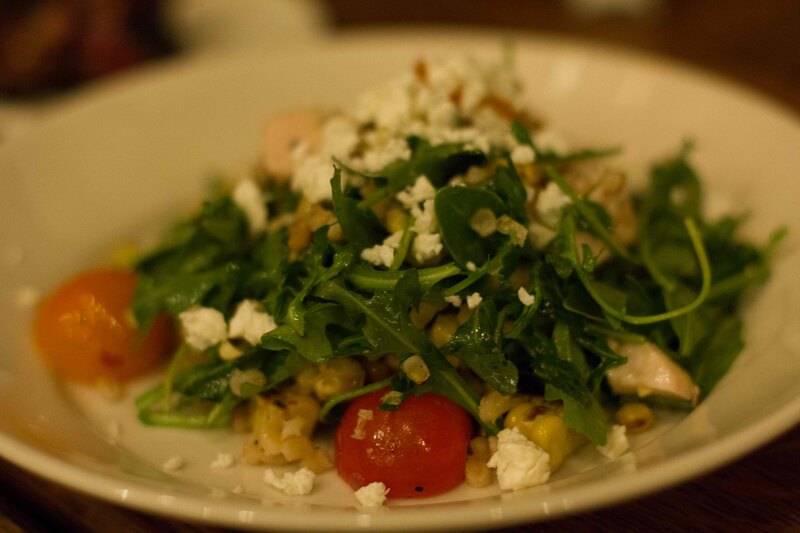 My arugula, cherry tomato, bulgur, corn salad with chicken was light and filling at the same time. 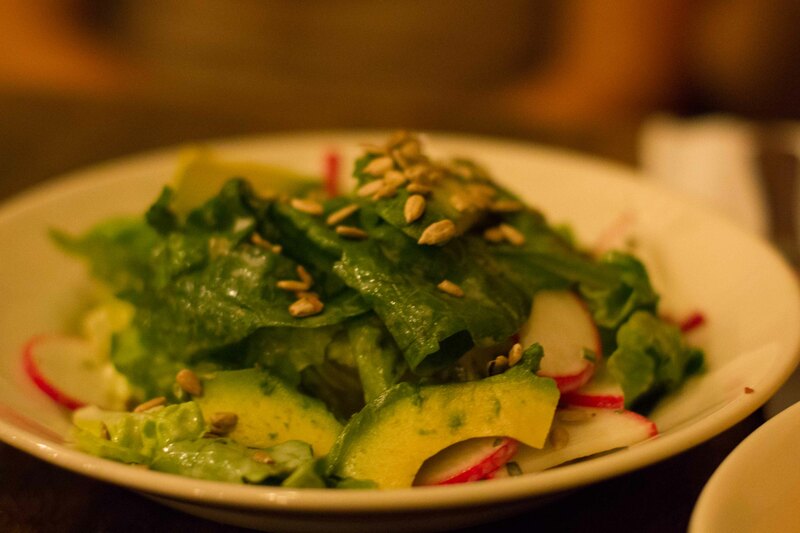 When I say I crave a good summer salad at home, this is a great example of what I have in mind. 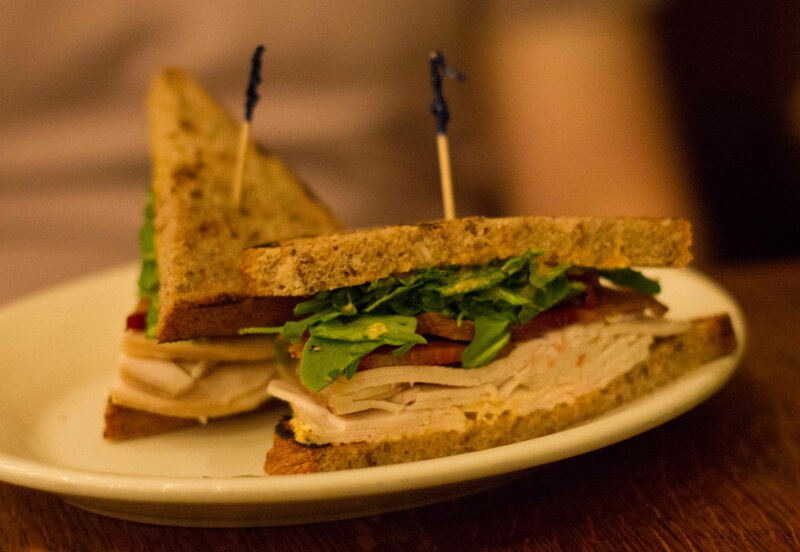 Ben’s turkey sandwich with thick cut bacon. 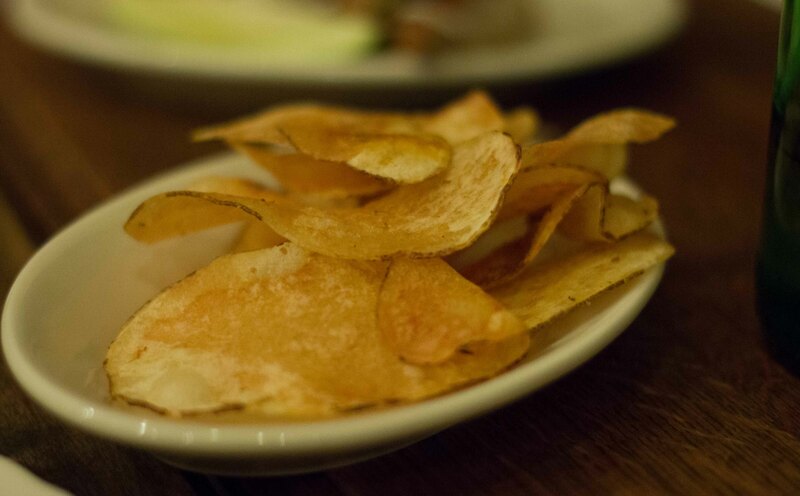 At Freemans, we had good food, delicious drinks in a very hip(ster) space. I could imagine if I lived in NYC, this would be one of my “spots”. We had a great few hours catching up with Alex and hope to see her, (and the rest of the family) on the west coast soon! 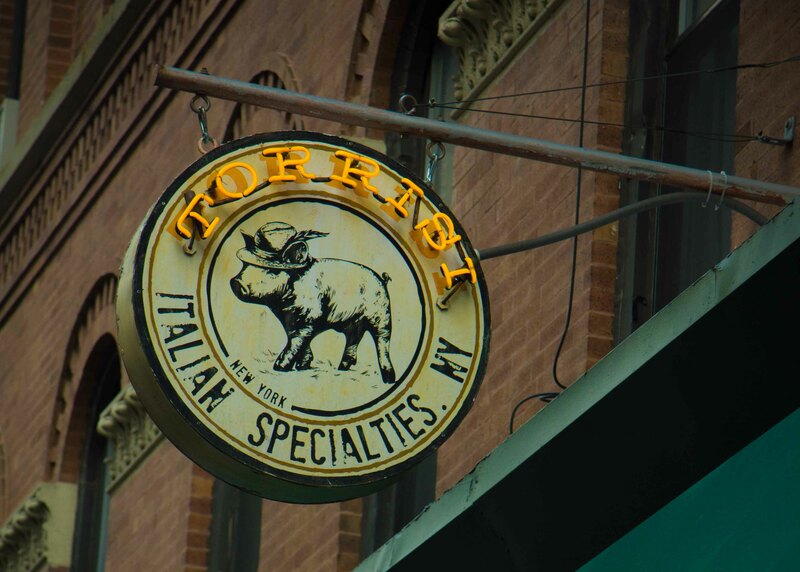 On our previous visits to New York, I’d really wanted to go to Torrisi Italian Specialties but was never able to get a reservation. I noticed on this trip, not only was Torrisi bookable on Opentable, but that I was able to secure a table while we were there.Very rarely do I make a reservation where I don’t second-guess my choice once or twice, but in the case of Torrisi, my decision never wavered. Ben and I arrived at Torrisi Italian Specialties for our 8:00 reservation but were told our table wasn’t quite ready. 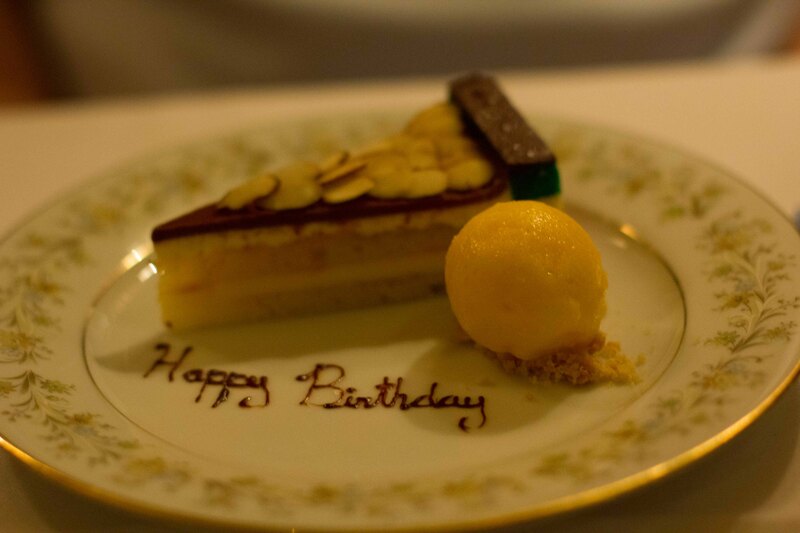 The dining room is small with a wonderfully relaxed and intimate feel. Every seat was taken by a diner, so we were directed to their restaurant Parm next door to have a cocktail at the bar. While we sat and had our drinks, we looked longingly at the sandwiches being delivered to the diners at Parm and decided we needed to make a return visit to eat. We were brought back to Torrisi a half an hour after our reservation time and were offered a little something as an apology for our wait. 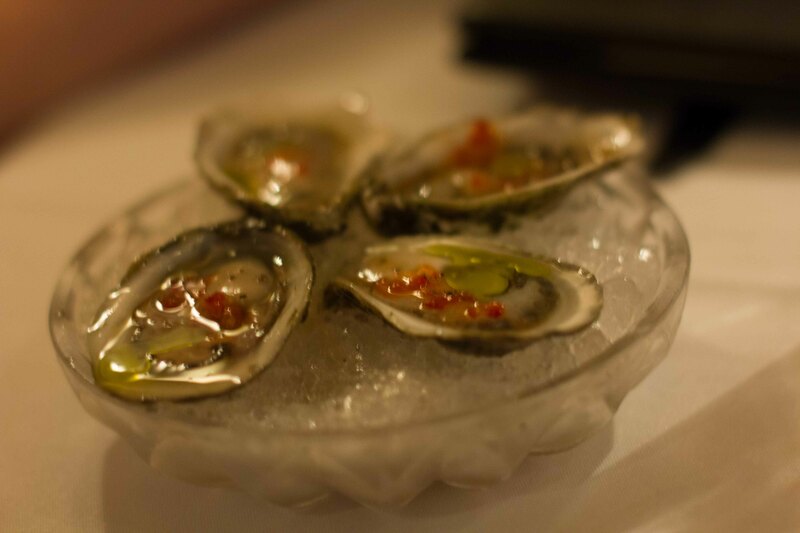 Oysters with mignonette and a drop of olive oil. Everyone is served the 4-course tasting menu ($80) and where there were choices, we decided to try one of each to get the full experience. 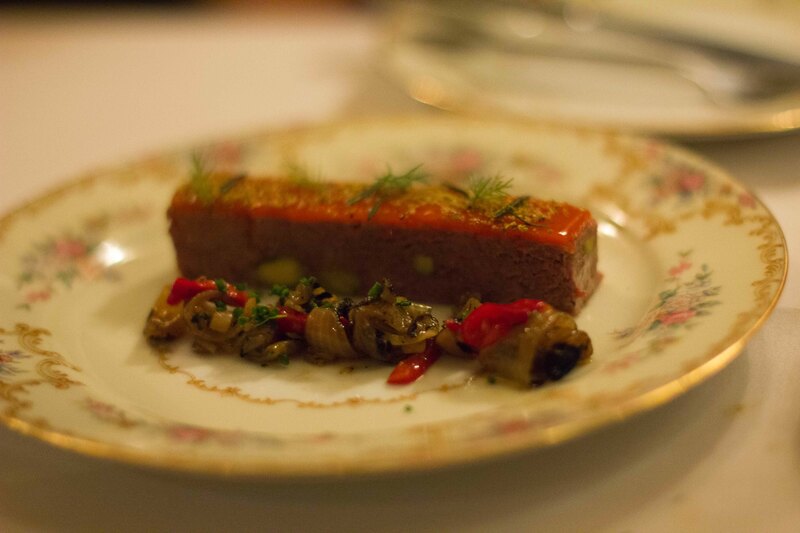 With graceful efficiency, our meal began and continued at a comfortable pace until the end. 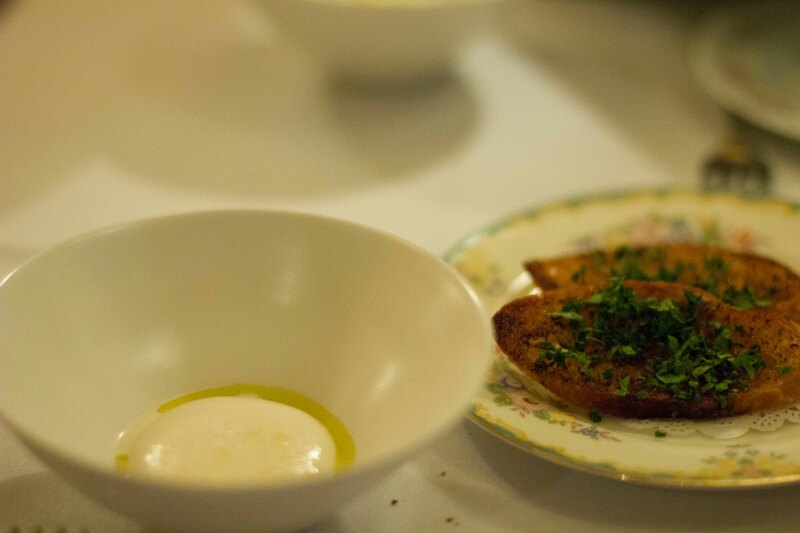 Mozzarella Da Vero with olive oil and a sprinkling of salt was made to order and still warm. 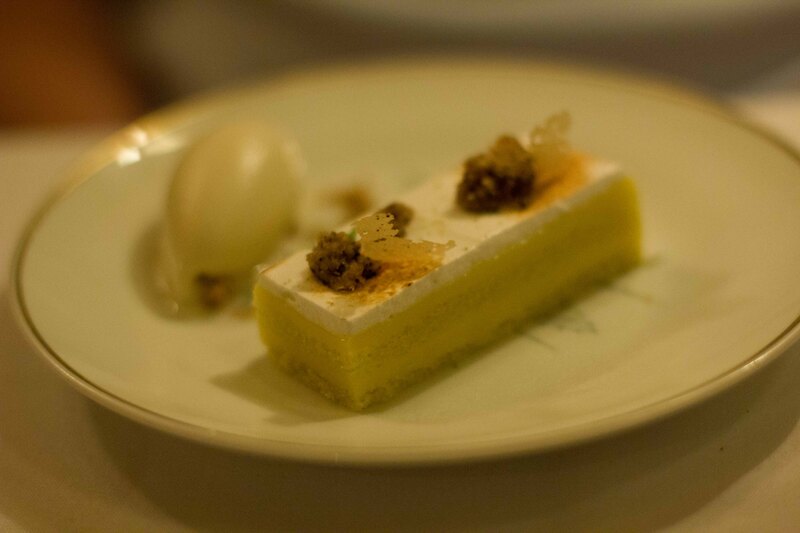 This is the only thing that is always on the tasting menu, and I understand why. 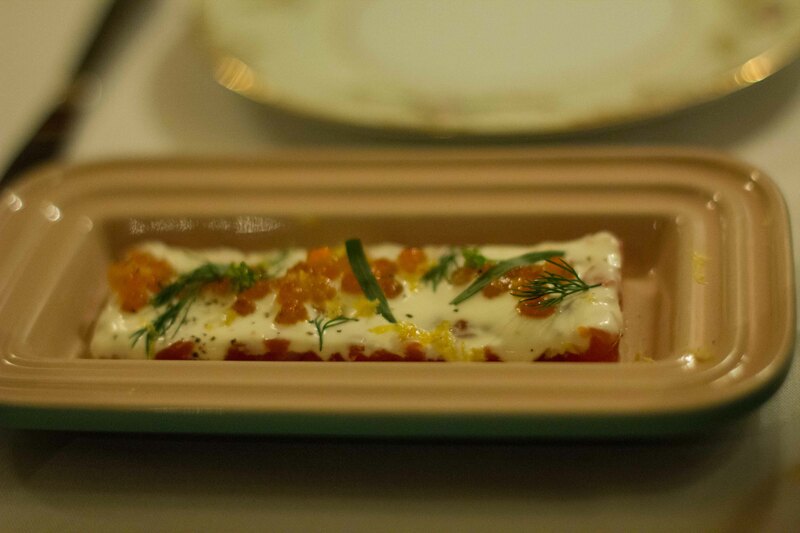 Salmon tartare with salmon roe, served with an everything blini. 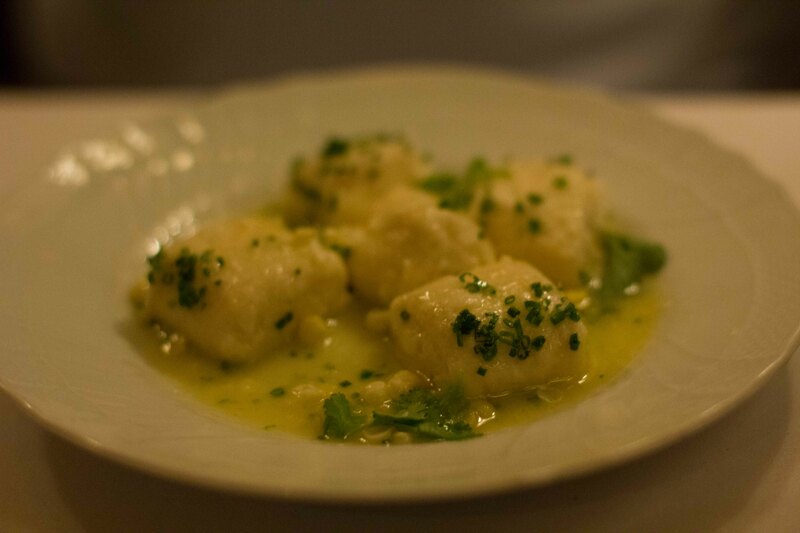 Ricotta gnocchi with corn and coriander was pillowy soft and unbelievably delicious. 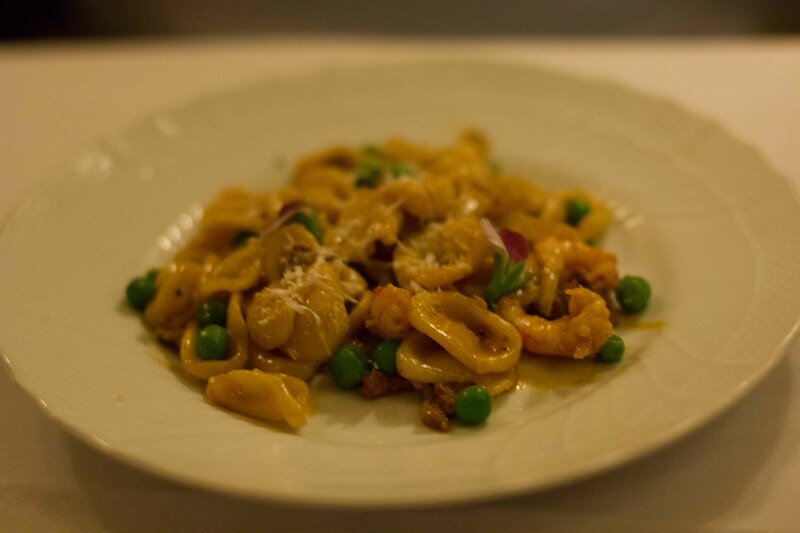 Andouille and crawfish orecchiette was boldly flavoured and perfectly al dente. 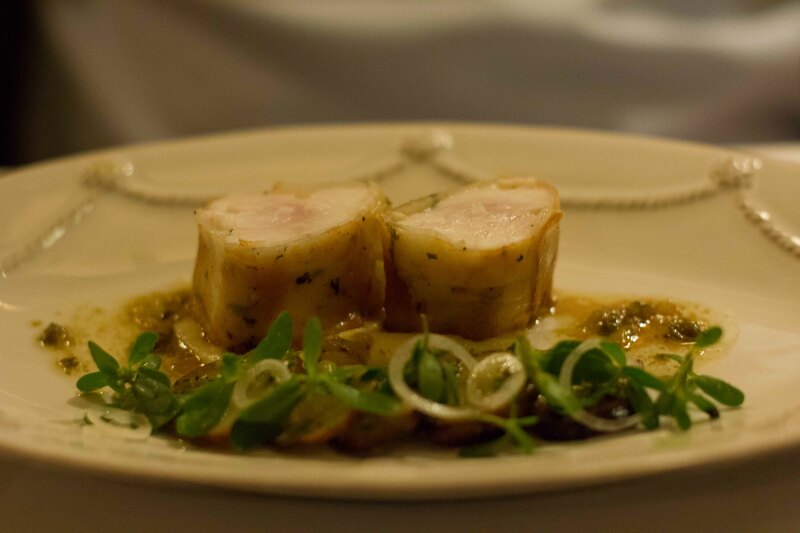 It was completely opposite the gnocchi, but the dishes worked well side by side. 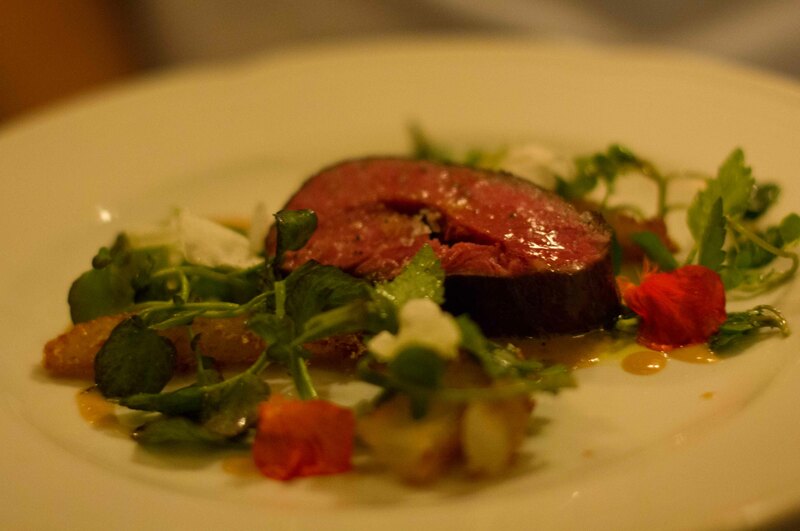 Flat iron steak – while every other dish was delicious, this plate was exceptional. The perfectly seasoned steak was tender, with so much flavour. Potato wrapped striped bass was very good, but definitely overshadowed by the steak. 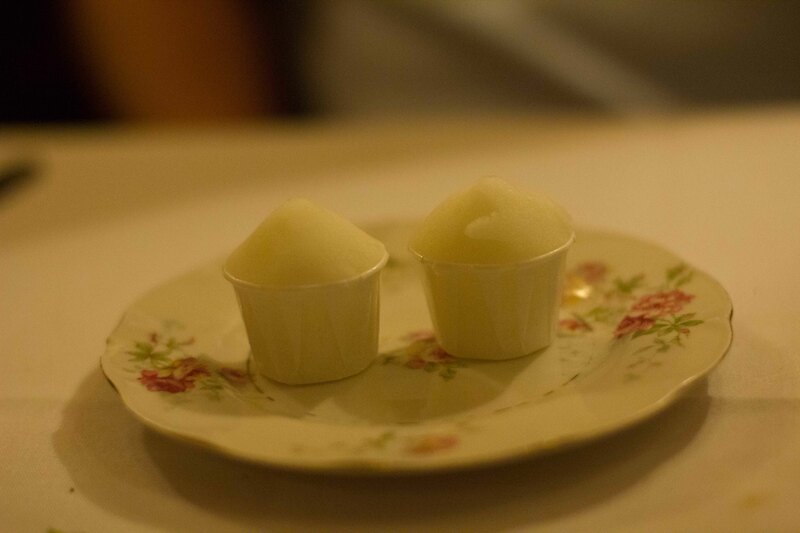 We were so full by the time that the lemon ginger ice hit the table, it was hard to enjoy the 2 desserts that followed. That being said, both were simply delicious and we finished bot plates. Our first full day of eating in NYC was complete and we happily wandered back to our hotel for the evening.With eating experiences like these, it’s no wonder I long to return to New York over and over again.